What are the best things about living in Greece? Someone recently asked us – in our office we are six ladies of varying ages – what the best things about living in Greece are. It is actually quite difficult to think of things we don’t like about living here, although of course, human nature as it is, we do always find a few things to complain about. Sometimes it’s too hot, too crowded in August, potholes in the road – the usual sort of moans that people have wherever they live! Obviously sunshine comes fairly high on the list of the best things about living in Greece – even when it is cloudy, the clouds are high up in the sky rather than just hanging above your head like they seem to in northern Europe. Winter seems to be over almost before it has begun. The weather isn’t everything, however, though it does help to be able to plan ahead knowing that the weather is more or less guaranteed to be good. We love the outdoor life that the weather encourages, we love being able to walk in the Spring and Autumn without taking clothing for all weathers. Of course, it does rain in Corfu. It’s the price we pay for the year-long greenery and shade, even in August, but there’s something rather nice in the contrast between scorching summers and cool rain in the winter months. Going off to see properties? Get your copy of our free Viewing Trip Guide to find out how to make the most of it. We love pavement cafés that always seem to be buzzing with activity no matter what time of day. Another one of the best things about living in Greece is the fact that you find these cafés (doubling up as community centres!) in virtually every village. We love seeing teenagers chatting on street corners in large groups that aren’t in the slightest bit threatening, and we love the way they ‘go out for coffee’ with their friends instead of to the pub. We love the way people still put on their Sunday best to walk around the town and how you can’t progress more than a few yards either in town or in your own village without meeting someone you know by name. The overall feeling of security is one of the best things about living in Greece. We often leave our doors/cars unlocked, we don’t worry about walking in particular parts of Corfu Town, or villages, or up in the hills, or on deserted beaches. We feel safe wandering everywhere, and if we happen to drop our purses we are almost certain to get a phone call or FB message to say someone has found it and what should they do with it? Corfu Town and the island at large is extremely safe. Apart from the above – why is Corfu so special? One of the reasons the island is particularly special is because you can find beaches of every single type within a short drive – sand, soft or hard, shingle, pebbles, stones or rocks, small harbours, long flat beaches, deep sea, shallow sea – quiet places and trendy ones with music to swim to. Wherever you choose to live the sea is not far away. Similarly, Corfu is incredibly diverse in its scenery, green olive groves, tiny harbours bordered by hillsides, vast sandy beaches backed by sand dunes – the outlook and views change around every corner. 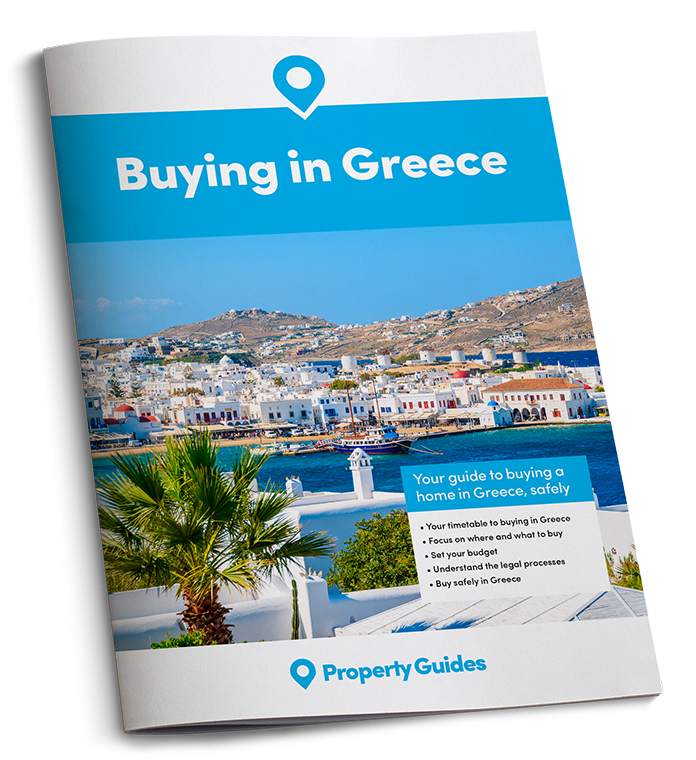 If you have any questions, give your Greece Property Specialists in the London-based Resource Centre a ring on 020 7898 0549 or email greece@propertyguides.com. 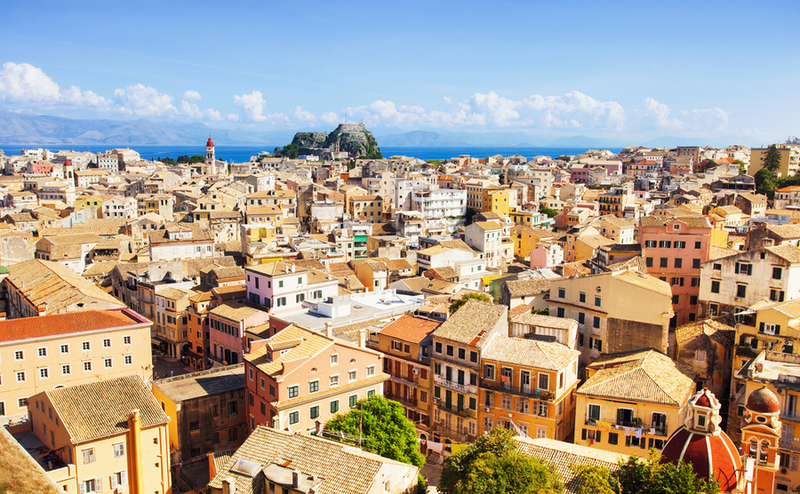 Corfu Town makes the island special – there are two Corfu Towns, the summer one where visitors throng the pavements, and tiny side streets enjoying the atmosphere and architecture of the Town. Then there is the winter Corfu Town, more sedate, but still lively with cultural events at the Theatre, and people with time to relax and enjoy the coffee shops and restaurants. Food! Going out for a meal needn’t be an expensive treat. There are loads of really good, economical places serving seasonal meals. 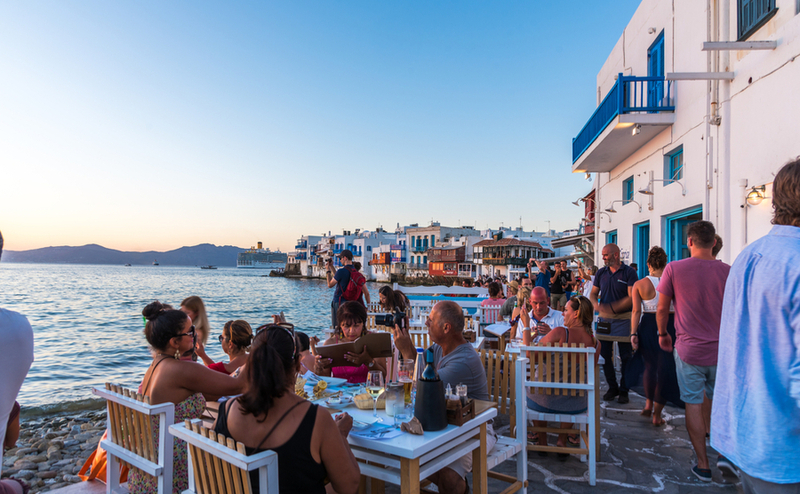 Despite being fairly extensive travelers, our absolutely favourite dining experiences have been in Greece. Small local tavernas abound on the beaches, tiny ‘hole in the wall’ grill rooms can be found in Corfu Town, wonderful cosy tavernas can be found high on hillsides for winter lunches – all types of food, all price ranges, and all over the island. Greeks are a genuinely welcoming nation. They love visitors to their country and are always pleased to extol its virtues. They class all visitors as ‘guests’ and treat them accordingly. In the most remote villages, if a visitor has some sort of problem, a local will invariably find someone who can help. Someone newly arriving to live in a village will generally find they have no need to buy eggs, fruit, vegetables – anything in season will usually be deposited on their doorstep on a regular basis. Greeks are by nature generous and gregarious. If there is an argument about who is going to pay for a meal or a coffee the Greek present will always find a way to make sure that the bill comes to him/her. More than one Greek in a group necessitates devious ways of getting hold of the bill first – pretending to go to the loo, a vital phone call, or a quick smoking break being among the best excuses. Written by Diana Giannoulis, of Corfu Home Finders.